A hangover comes with a plethora of symptoms which make one wish never to drink alcohol again. Although many believe that the best cure is medication, nature also offers some pretty strong solutions. Keep in mind that knowing what to eat during a hangover is also essential. Even if there is no natural hangover cure to eliminate all the veisalgia symptoms, several could be tried together to address all underlying issues, such as low blood sugar, nausea, dehydration, digestive upset, brain fog or exhaustion. Are natural hangover cures effective? Does milk thistle work for a hangover? Is prickly pear the best natural hangover cure? Do ginger, honey, and lemon reduce veisalgia naturally? How does turmeric relieve hangover naturally? Is Siberian ginseng the best herbal hangover treatment? How can water relieve hangover? Is kombucha a safe and natural crapulence cure? The most seen symptoms of a hangover are nausea, weakness, headache, and abdominal pain. These side effects will only go away if they are counteracted in the healthiest and most practical ways, such as drink water to rehydrate the body, let the system recover and replenish the essential vitamins that were lost overnight. 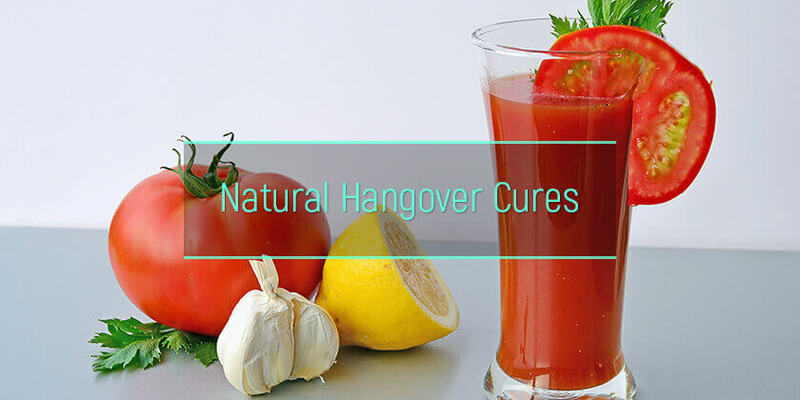 Natural hangover cures are effective. Even if most of us do not jump to them the first thing after a night of drinking, they could make us feel better faster than medication. Ibuprofen, acetaminophen, and aspirin come with some severe side-effects, which could be easily avoided with natural options. A natural cure for hangover can efficiently flush the alcohol-related chemicals and toxins from the body, relieve pain and rehydrate. Many companies have come up with the anti-hangover shot, which promises to relieve the veisalgia side effects if it is drunk during and after consuming alcohol. Although these shots are said to contain natural ingredients, such as vitamins, folic acid or caffeine, they also contain preservatives. There are several fruits and vegetables to eat, and some good hangover drinks that work wonders and some of them are readily available in anyone’s . Why do some people not get hangovers? They either do not drink that much or are genetically predisposed not to suffer from the negative effects of alcohol. All the rest need to know some natural ways to get rid of hangover listed below. Milk thistle is an efficient herbal hangover cure. It can be found as natural supplements at health stores and pharmacies. Taken before a night of drinking, it can keep the next day hangover symptoms away. It can also be taken after consuming ethanol to diminish the impact of a veisalgia altogether. This natural remedy has a long history, and it has been used mainly to protect the liver from damage. The natural product can relieve symptoms associated with a veisalgia, such as upset stomach and indigestion. It is considered safe for adults, and the recommended dose is up to 200 mg a day. The prickly pear is a cactus which makes beautiful red fruits. It can be found in the Southwestern US and Mexico, and it has been used as a natural remedy to reduce liver inflammation. Prickly pear extract can be used as a natural hangover relief. The cactus extract can reduce headaches, dizziness, and nausea and even cut the hangover symptoms’ severity in half. Participants to the study said that taking the natural extract five hours before consuming alcoholic beverages for the next four hours, significantly reduced their aversion to food, dry mouth feeling and nausea the next morning. The results also showed a diminished intensity of the hangover symptoms and a 50% decreased risk of developing veisalgia. For hundreds of years, ginger has been used in Chinese medicine as a remedy for vomiting and nausea. A research made by the National Institutes of Health shows that consuming ginger, citrus and brown sugar before drinking, would decrease vomiting and nausea. Nibbling crystallized ginger before drinking would also do the trick, as well as a cup of ginger tea the morning after, to get the water lost due to alcohol and calm an upset stomach. This is the best natural hangover cure, and the good part is that ginger is (or should be) in anyone’s home. One can also try eating raw or powder ginger, but since it does not taste that good, mixing it with some lemon juice and honey will work just fine, but drinking it as tea is the best idea. Honey is not only used to temper the ginger taste, but also as another natural hangover remedy. Honey contains potassium, enzymes, and fructose which helps the body metabolize the ethanol. Turmeric is a spice very often used in Asian cuisine. Its active ingredient is curcumin, which can help reduce the effects of ethanol toxicity and hangover. 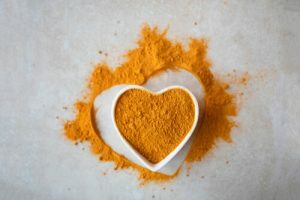 Turmeric not only helps in coping with the mental and physical veisalgia, but it also protects the brain and liver from the effects of alcohol and eliminates toxins from the body. The spice reduces neurotoxicity, neuroinflammation and amyloid-β protein deposit in the brain, but it also increases the production of serotonin and lowers ethanol consumption side effects, including insomnia, sleep disorders, and amnesia. Curcumin is an anti-anxiety and antidepressant agent, alleviating toxicity, inflammation and oxidative stress in the brain caused by ethanol, which are the leading causes of anxiety and depression. Turmeric is also gastroprotective and prevents any damage which might be done by alcoholic drinks to the stomach and intestinal linings. Siberian ginseng or red ginseng could not have been left out of the natural herbal hangover cures. Siberian ginseng extract is able to alleviate some veisalgia symptoms and also decreased the overall severity of veisalgia. The root helps the body metabolize alcohol faster and soothes an upset stomach. Half a cup of Siberian ginseng tea is more than enough to fight hangover stomach pain, fatigue, and thirst. Coconut water contains five electrolytes needed by the body: magnesium, potassium, calcium, phosphorus, and sodium. It is so similar to our blood plasma that it has also been used intravenously when IV fluids were not available. An iv for hangover with coconut water might also work, but no need to go to such extreme measures. Because alcohol dehydrates the body and depletes it of precious minerals, coconut water serves as the perfect natural antidote for that and a strong rehydrator. So, coconut water not only helps with the hangover symptoms, but it also removes the chemicals alcohol is metabolized into. Drink two glasses of natural coconut water before going to bed to support detoxification. Water is the best home remedy for a hangover. Most of the veisalgia symptoms come for dehydration, so the first thing to do in the morning after a night of booze is to drink a glass of water and another one in the next couple of hours. One should pay attention not to drink too much at once because this would make them feel worse. The best thing to do to get the rehydration started is to drink 16-20 ounces of water before going to bed or even between alcoholic drinks. To help get the blood sugar on a normal level and replenish electrolytes, a glass of water with some sugar and a dash of salt in it before getting to bed and after waking up will do wonders. Is kombucha good for a hangover? This popular beverage dates back 2,000 years ago when the Chinese used to drink it too. It is a strong-tasting beverage made of sugar and fermented black tea. Although the taste does not appeal to many people, the beverage is full of healthy probiotics, protects the liver and detoxifies the body. A cup of Kombucha before going to bed after indulging in one’s favorite alcoholic drink and then a cup in the morning will save from a lot of pain and nausea. The drink has a lot of electrolytes helping regain hydration. Research in 2014 showed that kombucha tea could be efficiently used in health prophylaxis and recovery thanks to its four basic properties: energizing potency, antioxidation, detoxification and promotion of depressed immunity. Kombucha might effectively cure stomach aches and hangovers because it protects the gastric tissues and also headaches dizziness thanks to its B complex vitamins. However, the drink has faced a lot of criticism. Many scientists believe that the relieving properties of kombucha mostly refer to the alcohol content in this fermented tea. So, it might be just the hair of the dog. How To Get Rid Of A Hangover Naturally? Alcohol intoxication usually leads the next day to a pounding head feeling, nausea, tiredness, irritability, vomiting and dizziness. Although there is no magic solution to get rid of a veisalgia, there are solutions to be taken to ease the pain and make the side effects go away faster. For those looking for alternative solutions to ibuprofen and aspirin, all the natural remedies presented above may help those seeking how to get rid of a hangover. Still, it should be noted none of these options is the best hangover remedy because each of them comes with its benefits. Binge drinking may be the red flag of a problem. The rehabs for alcohol abusers may change one’s life for good. Reach out for help and get the full information on how alcohol addiction is treated.